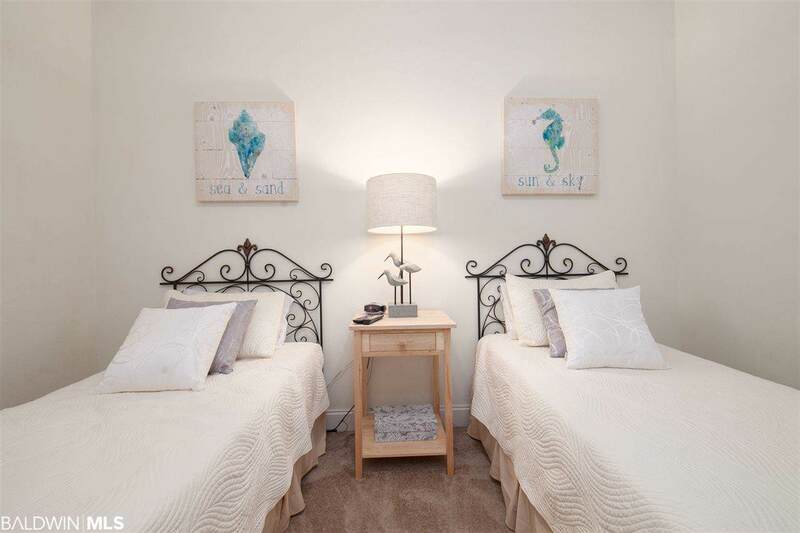 Clean and bright 1st floor unit at the Moorings in Orange Beach. 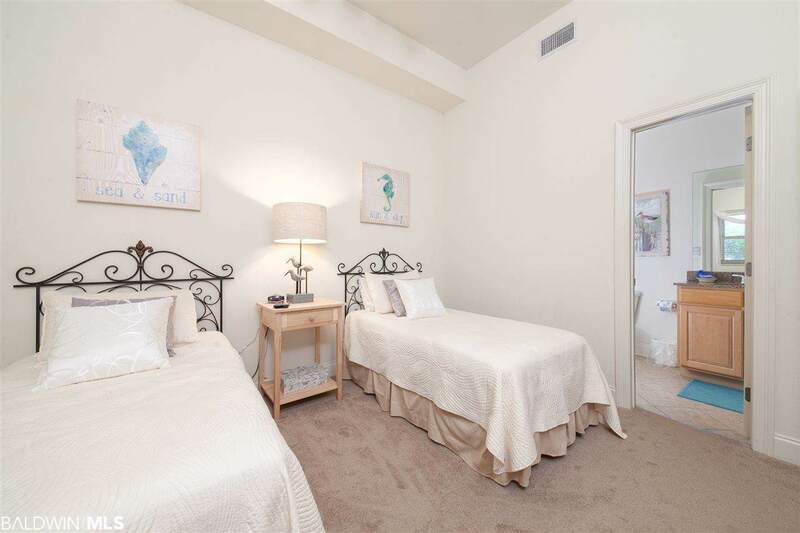 1st floor units feature 11' ceilings. There are very few "due south'" views in this building and this is one of them. The fire place is an electric start gas fireplace. Unit 102 has been recently refreshed with new bed spreads, artwork, lamps, flat screen TVs and curtains. The AC was replaced in 2017 both inside and on the roof. This unit has a full sized laundry room, walk in pantry, walk in closet in the master, and too many more wonderful things to mention. 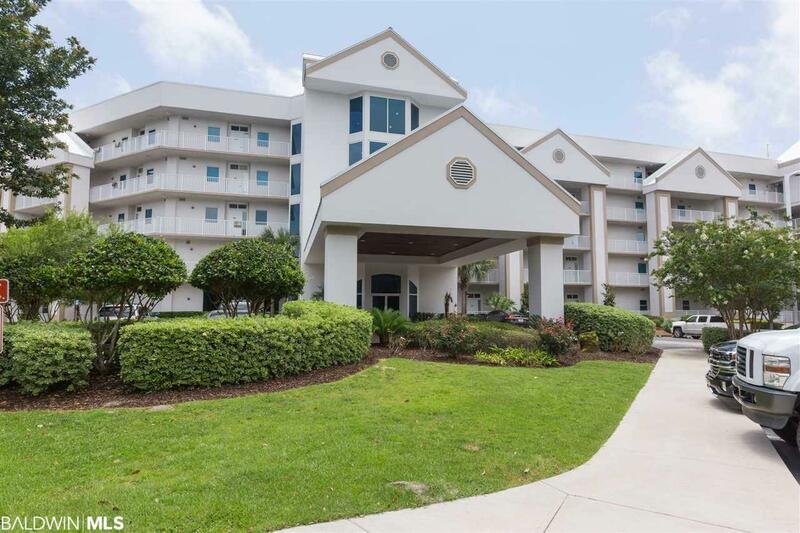 The Moorings is a quiet, gated, well maintained solid concrete building with strong home owners association and prime location. 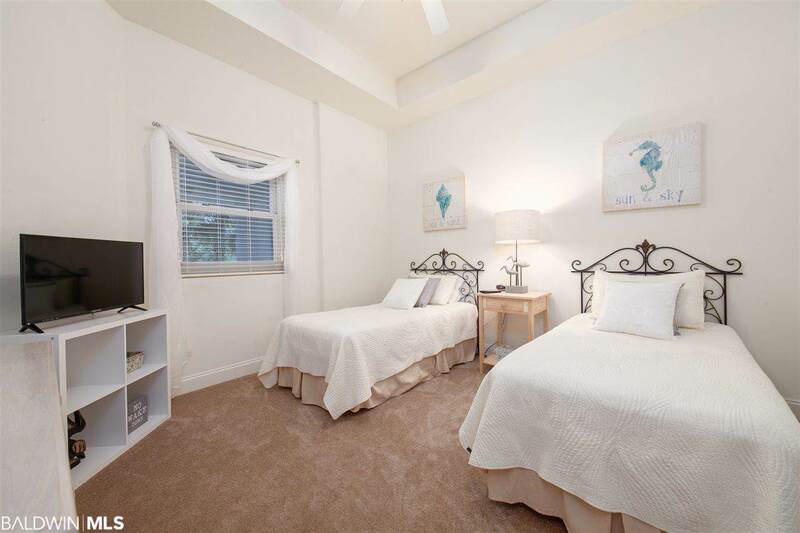 This unit includes one deeded covered parking space.